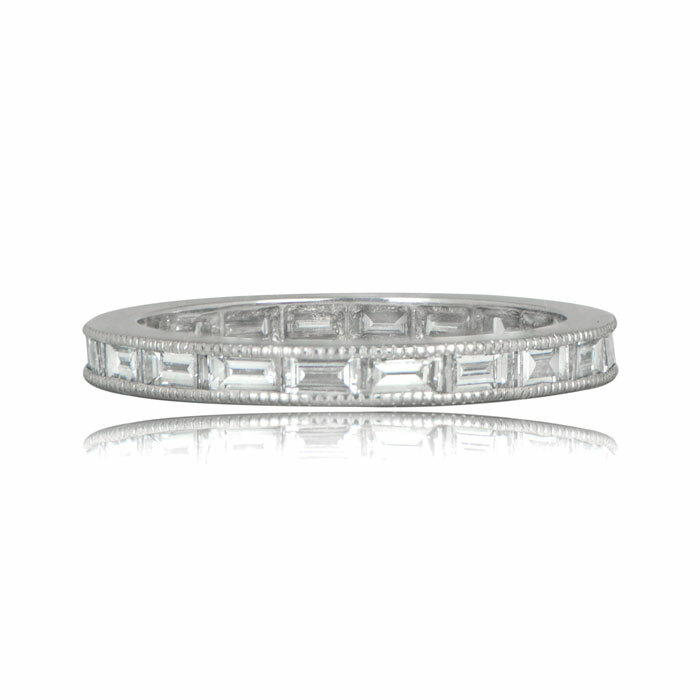 A stunning vintage style wedding band, featuring a horizontal row of channel-set baguette cut diamonds. 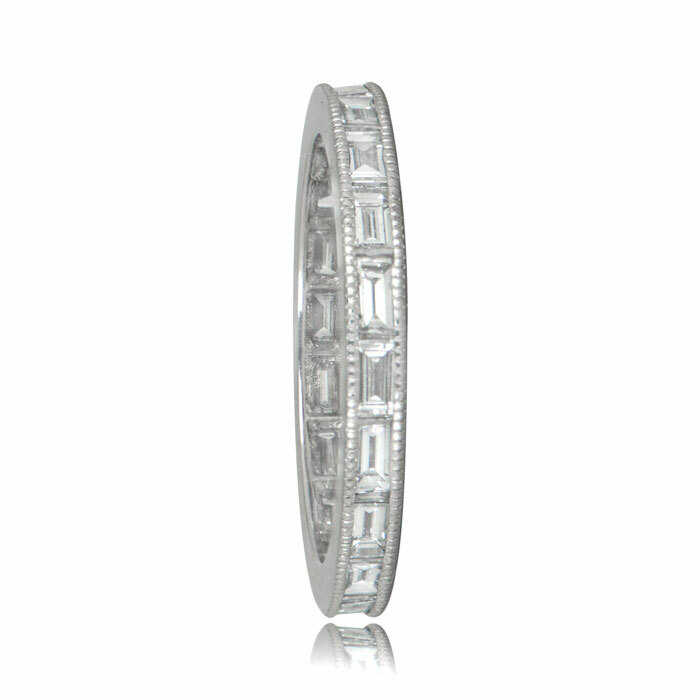 The diamonds are adorned with milgrain on both sides and set in platinum. The diamonds weigh a total of 1.73cts and are G color and VS1 clarity. 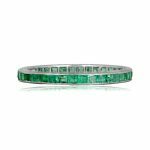 The band is 3mm and a size 6.25. Additional sizes are available by custom order upon request. 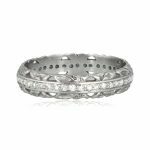 SKU: 11399 Category: Vintage Wedding Bands - Contact us and request additional pictures.